Do not miss another Furniture Village voucher! Simply leave your e-mail address and we'll always keep you informed of new vouchers for Furniture Village. Offer condition: This discount applies to all furniture, garden furniture and accessories only. 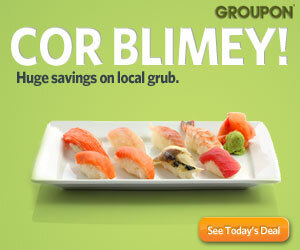 Cannot be used in conjunction with any other discount code or cash back offer.0% APR Representative. Offer condition: Normal T&C's apply. Applicable only on colour: Case Smoke with dark feet. Enjoy 20% discount on famous sleeping, dining and living brands this weekend ! 10% discount on all garden furniture at Furniture Village ! Hurry, ends Sunday ! 10% discount on accessories at Furniture Village with the code ACCESSORIES! Hurry ends Sunday ! 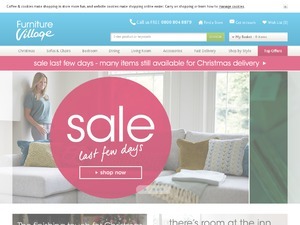 Get 20% discount on this weekend at Furniture Village with the code VILLAGE20. Offer condition: 5% off leather sofas only. Offer condition: All FV Stores and online. Extra 10% off bedding when you purchase with any bed. Offer condition: This discount applies to all furniture, garden furniture and accessories only. Cannot be used in conjunction with any other discount code or cash back offer. 0% APR Representative.